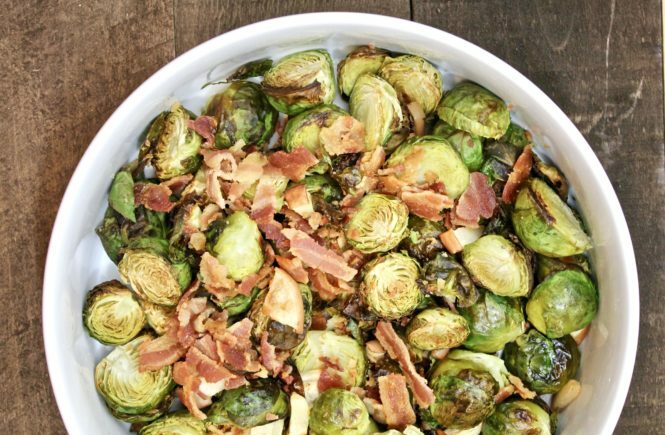 My old friend, Roasted Brussel Sprouts with Apples and Bacon is finally making an appearance on the blog & I could not be more excited to share this recipe with you! 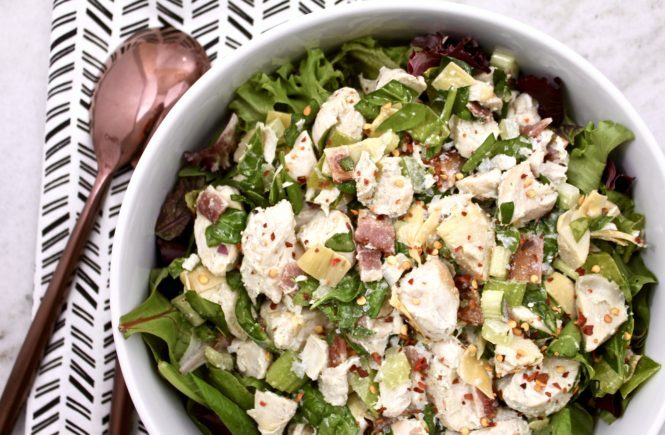 This is a staple in our household – it’s simple & delicious. 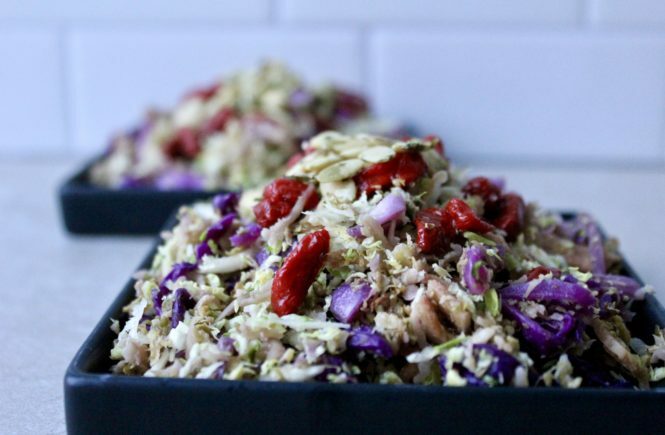 What else could you ask for in a recipe? Christmas is officially 6 days away! December is flying – literally. Yesterday I planned my Christmas dinner menu which you can read about here. I need dessert suggestions, so please let me know if you have any! 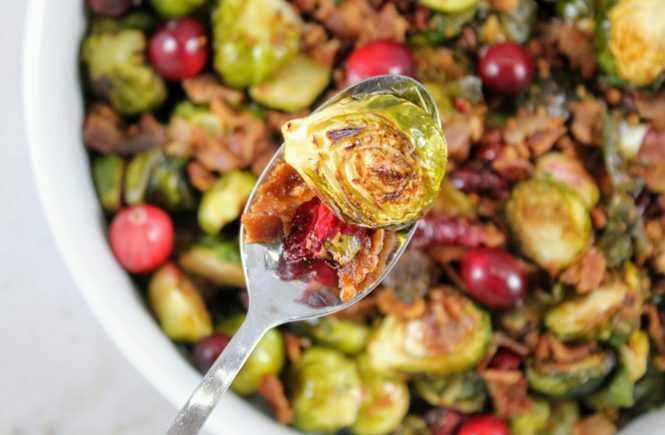 These roasted brussel sprouts with cranberries and bacon WILL be making a Christmas dinner appearance! 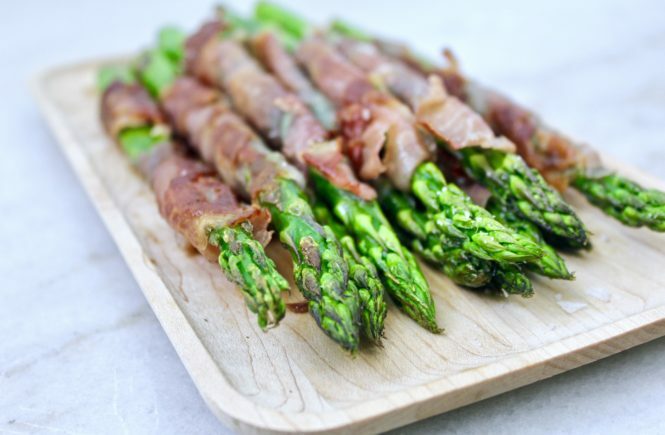 Anything with bacon is generally a hit, so may as well sneak some greens in with the bacon.